GoldenEye 007 is a first-person shooter video game developed by Rare and published by Nintendo. It is based on the 1995 film GoldenEye and was exclusively released for the Nintendo 64 video game console in August 1997. The player assumes the role of James Bond as he fights to prevent a syndicate from using a satellite weapon against London to cause a global financial meltdown. 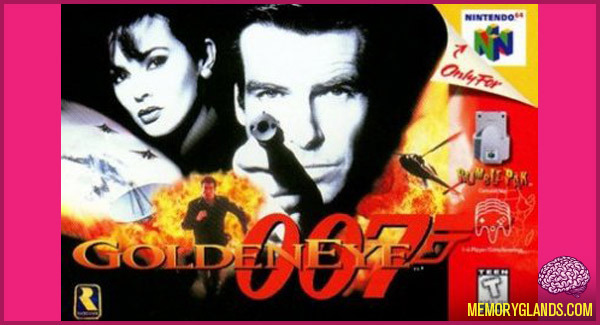 A critical and commercial success, GoldenEye 007 received overwhelmingly positive reviews from video game websites and magazines, and sold over eight million copies worldwide. It has been praised for the quality of its multiplayer deathmatch mode, and its incorporation of stealth elements and varied mission objectives into its single player campaign. It is widely considered to be one of the most influential shooting games of all time.